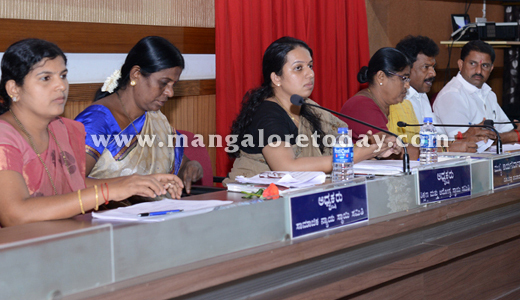 Mangaluru, Mar 18, 2015: Zilla Panchayat President Asha Thimmappa Gowda said the deadline for the contractor to complete the work in the district was September 17, 2014. However, they have failed to complete the work and some of the building works have remained incomplete and a few have not been started yet. Hence, the government should re-tender the work at the district level. Instead of calling for the tender at the state- level, there is a need to call for tender at the district level, she said. 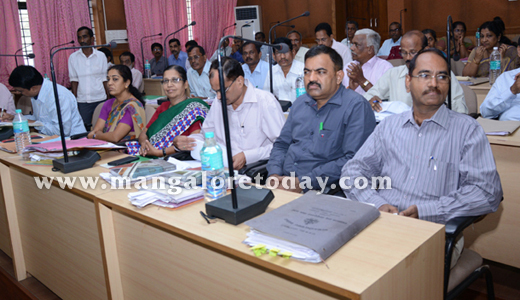 Zilla Panchayat has resolved to write to the State government to blacklist the contractor who was entrusted with the responsibility of constructing 65 civil works sanctioned to the district under Rashtriya Madhyamika Shikshana Abhiyana (RMSA). The funds from the RMSA State headquarters is released directly to the contractor. As a result, it would be impossible to monitor the work at the district-level. Hence, the State government needs to be impressed upon to release the funds to the ZP. 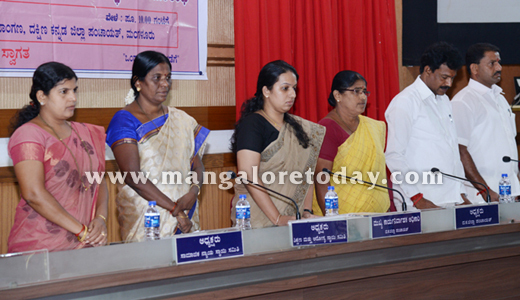 The ZP also decided to write to Rajiv Gandhi Housing Corporation to give relaxation to upload at least one photo of the completed house sanctioned in 2010-11, instead of three photos of the ongoing work of the houses under Basava Vasathi Yojane. It also decided to impress upon the Corporation to give its nod for the houses constructed which are within the guidelines of Basava Vasathi Yojane. The applications of the beneficiaries were rejected by the zilla panchayat on the grounds of high cost of the house, increase in the size of the house and extension of the existing houses. The ZP President said that initially the officials have committed mistake for failing to upload the photos of the houses constructed in three phases to release the amount. Under Rajiv Gandhi Grameen Vidyutikaran Yojana (RGGVY), 7,726 houses have been given electricity connection in Belthangady and Batwal taluks, of which 6,648 houses belong to BPL families. The work in eight villages are pending and is likely to be completed by March end. Those beneficiaries whose names have been omitted in the previous list will be included in the Deendayal Upadhyaya Gram Jyoti Yojana which will be taken up in the next phase. The ZP President directed Mescom officials to complete the work taken up under RGGVY and ensure that no beneficiary is missed out. Dearth of teachers : The issue of shortage of teachers in government schools situated in rural areas was raised, the members said that there are excess staff in urban schools. Reacting to it, DDPI Walter D’Mellow said that additional teachers in schools are being identified and after completing the process of promotion, additional teachers will be redeployed. 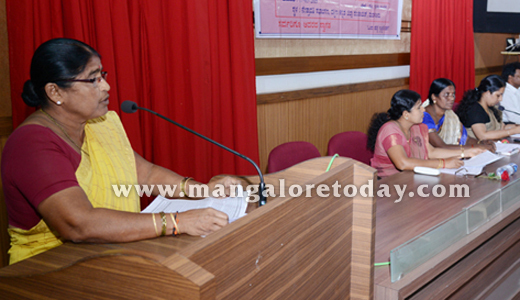 ZP President said that the district should not face shortage of teachers during the next academic year. 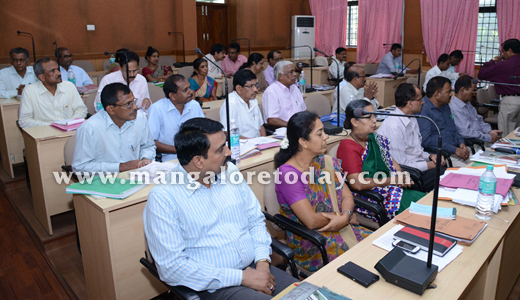 The clause 9 and 11 of Karnataka Panchayat Raj Rules is likely to be simplified shortly to benefit the people of Dakshina Kannada, Udupi, Kodagu districts. The draft of the simplified rules have been prepared and likely to be notified shortly, said Deputy Secretary N R Umesh.